Today I am going to review the Allview Viva Q8, this is a brand new Romanian tablet from the Viva brand, it was just launched overseas this month and it is part of a new series of tablets called the Allview Viva. This tablet seems to resemble the ipad mini quite a bit especially on the front side and we are dealing with a quad core 7.9 inch tablet. The price tag of this model is 240 dollars so it is an affordable quad core tablet with an ipad mini style design. As far as the design goes the tablet is 7.5 mm thick so it is pretty slim, it weighs 357 grams so it is reasonably light and we have a bunch of dual speakers at the bottom. The tablet is packet in an ultra slim case with an aluminum back side, there are no volume buttons so we have to use the virtual volume buttons. On this tablet we are dealing with an IPS LCD screen with a 7.9 inch diagonal and a resolution of 1024 X 768 pixels in a 4/3 format. The on/off button is on the left side of the device along with the home button and the micro usb port, the hdmi port, the microphone hole and the audio jack. On the side of the device there is the micro SD card slot and on the right side of the device you will find a set of high quality dual speakers. The device has a good grip, it sits well in the users hand, it is not slippery and it is very easy to hold in one hand if you want to do some e-reading or stuff like that. Inside the tablet there is a Cortex A7 quad core 1GHz CPU and the GPU is a power VR SGX544. This tablet comes in with an whopping 8 core GPU, we also have 8GB of internal storage and a micro SD card slot supporting up to 32 GB of extra storage and this product is available in black or white, depending on your preferences. I should also mention that the device comes in with a G sensor and there is no GPS, no bluetooth but we have WiFi. The front camera is a 2 megapixel unit and the back camera is a 5 megapixel unit, that is actually pretty good. Inside the Allview Viva Q8 we find 1GB of DDR 3 RAM and a Allwinner A31S CPU. The battery is quite good as it is a lithium polymer unit with a capacity of 4000 MaH and 3.7 volts, in my tests I got about 5 hours of gaming. The speakers of the device work in stereo mode, there is zero vibration and the sound quality is really good. Overall, this tablet can be ideal for those who want to benefit from the full Android experience but do not have access to cheaper models of Android such as the Google Nexus, this can also be a great alternative to more expensive brands and my overall experience with the device is positive. Chris F has spent many years working as a technology and gadgets consultant, author and educator. Along the way, he has written extensively on changes in mobile technology, mobile web and impact of mobile technology. He is also a columnist and writes on technology for many publications, websites including http://tcawireless.com/. You can also follow him on Google Plus. In this article I will talk about how upcoming tablets will change our society in a positive way. You will learn about the profound impacts that these gadgets inflict on our society and how they will impact education, tourism and the way we do business. In the near future, people from all over the world will use tablets to learn, they will replace the old environmentally damaging paper books wil quad core devices that can last a lifetime if they have proper maintenance. This will bring a revolution in the classroom as learning will become more interactive and there won’t be any space for lies in those old history books. Wikipedia will provide them with nothing but the truth, this is why this change will affect society in a positive way. The world will be divided into two category of states, open democracies that share the vision of truth and liberty, and will adapt to this technologic changes, and the world of tirrany where people will be lied non stop at school and at home. It is worthy to mention that even China is now a major manufacturer of such devices and because of their awareness of change, China might be one of the first countries that might adopt such devices at large scale, this is besides South Korea, California and Romania. These three states already have a plan to introduce such devices, even India has introduced the cheap Aakash tablet in an atempt to revolutionise the learning system. The Aakash is a cheap tablet manufactured by British company Datawind, they also produce other cheap tablet models with EDGE and 3G connectivity. The impact upon tourism is especially interesting for both consumers and businesses. Clients can now read reviews about tourism locations, can access important information regarding proper pricing and services provided. Because people can do this from any coffee shop that has Wi-Fi connectivity, businesses need to be a lot more competitive and use this technology in order to leapfrog competition. Tablets have also changed the computer business, this is because more and more people like to buy mobile devices and this trend has lead to a downturn in P.C. sales worldwide, this trend will continue but economists predict that it will stop somewhere around 2014. One interesting change is the introduction of tablets for consumers and the replacement of waiting staff with tablet robots that provide consumers with an intercative menu display. While some think that this may be a good solution for consumers, other stated that this technologic revolution might lead to job loss in the long run. The good news is that even a cheap tablet can bring a lot of benefits for the average consumer, cheap Android tablets can now provide you with access to important geographic information about various tourist destinations, tourists can use this technology to find important tourist attractions and browse various hotels or spas to sort out the most competitive ones. 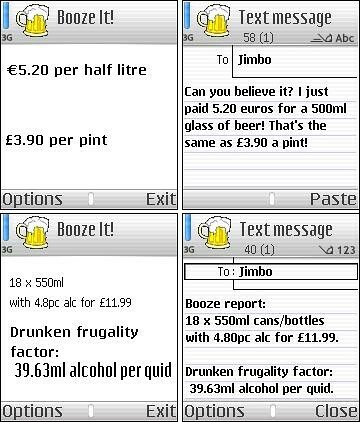 With all these changes going around in the world of tablets many people already ignore the old P.C. and most consumers are now interested in buying the next best tablet instead of a P.C. IPads have been introduced in the market for one sole purpose. They have been introduced for the purpose of eliminating the use of a laptop on the go and providing users something bigger than just a smart phone. iPads are very unique in nature and allow users to enjoy their work on a larger screen than a smart phone. The screen is almost as big as a notebook or a mini laptop called a net book. iPads have many features and hidden apps in them which can be used for the benefit of the user. IPads are small and quick in function hence they assist every person who needs assistance in their work while they are in the process of multi-tasking. iPads are also very famous amongst youngsters and kids who love to watch stuff on them and play games on them. Apps on the iPad can be easily grouped together which is a very good feature and not everyone knows about it. The way a person can group apps is by holding the icon of one app and dragging it to another and a group forms automatically. This allows users to separate their management apps from their games and other entertainment apps. This allows users to easily find apps on their iPad pages and do not convert it into a hassle. Grouping allows the iPad to become more manageable and sorted. Not many users may know this but searching for free apps has a trick to it. People should always search online on their Ipads for free apps and then search for them on the app market. This way they tend to get more information about the app and can also see if it is useful or it is what it claims to be. Free apps are a blessing in disguise since app store does not have a lot of useful free apps, however, some people find their way around the best free apps by searching them online. Another feature or trick that only a few users know about is how to shift between apps and close an app. The new ipad allows users to shift between apps by pinching the screen which sounds like a very odd thing to do but it works. This feature is available on all the new ipads and allows users to look up other information while their current information is still open. All the user has to do it put his or her fingers on the screen and make a pinching movement which will direct the user back to the home screen. In this way users do not have to lose their work ever again. One hidden secret abut ipads is that the screen print can be saved in the gallery. This task is very easy and is not common at all amongst iphone and ipad owners. The way a person can save a screenshot is by holding the home screen button and the lock button at once. Once both of these buttons are pressed at the same time for a couple of seconds, the ipad shows that it is taking a picture of the screen. The file automatically saves in the gallery of the ipad. Unless you are the type of person who plans on doing very little apart from drinking and partying for the duration of your college course, at some point you will need to do some studying. For the past few years, a laptop has been the accessory of choice for students everywhere, but with the increasing popularity of tablet computers, students are now more inclined to start off college life with an iPad rather than a laptop. But can an iPad really replace a laptop, or will your work product suffer? 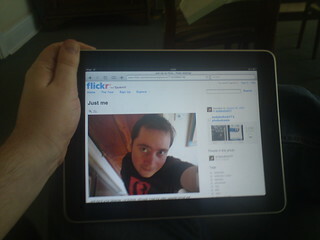 The biggest advantage of an iPad is its stature. Laptops are heavy and require a decent sized bag or rucksack to carry them around, whereas tablets are small and portable. You can carry an iPad in a handbag or backpack and you won’t even notice you have it. An iPad also boots up within seconds—unlike the average laptop that takes several minutes before it comes to life. Taking notes in class and writing essays is a major part of student life. In the good old days, students took a notepad into class and scribbled unintelligible notes they had to decipher later. Nowadays, students are more likely to have tablets and laptops with them in the classroom. However, the main disadvantage of an iPad is that it doesn’t have a keyboard. You can quite easily use the virtual keyboard for writing text, but who wants to tap away on a glass screen for hours? The alternative is to buy a Bluetooth keyboard or an iPad case with a built in keyboard. Another disadvantage of an iPad (and tablets in general) is that you don’t have an easy to navigate filing system at hand. Laptops, whatever operating system they use, have filing systems that allow you to store and retrieve documents at the click of a mouse. Tablets such as the iPad rely on cloud storage, which is arguably better since you can’t accidentally “lose” an important essay from the Cloud. The alternative is to use a system such as DropBox and have access to your files from any device. Simply download the DropBox app on to your iPad, register for an account, and log in from anywhere you like. All your files are synchronised every time you work on them, which is perfect if you move from your iPad to a laptop or vice versa. If you use a laptop or a desktop, you can install office software such as Microsoft Office or OpenOffice. Tablets don’t allow you to install software in the same way, but you can still work in an Office environment if you choose to. Check out Google Docs or something similar and work on your files in the Cloud instead. Edits are saved automatically and your work is accessible from any device once you sign in to your account. A major advantage of an iPad is that you can use it to download and store electronic textbooks. Open reference books on screen using the iBook app and browse away in class or at home. Glen Fathom is an RSA in Victoria. He likes to keep a tab on the latest technological developments around the world and digs into the tech magazines and blogs. He is also a movie buff and watches his favourite movies in his spare time. How many times have you asked an employee a question and then had to follow them halfway across the store to get your answer? When employees carry tablets, this inconvenience is eliminated—they’re ready to help customers now. Other productivity benefits include instant employee communication via messaging on the tablet and access to the company website for help answering customer questions. When it comes to training, you’ll benefit from the intuitiveness of the tablet, and the fact that so many people are already familiar with them. The training will be much more efficient (read: cheaper) on this type of POS System than a traditional one. All these benefits add up to one thing: a better bottom line. When information is readily accessible and employees spend less time training and more time working, your business will thrive. 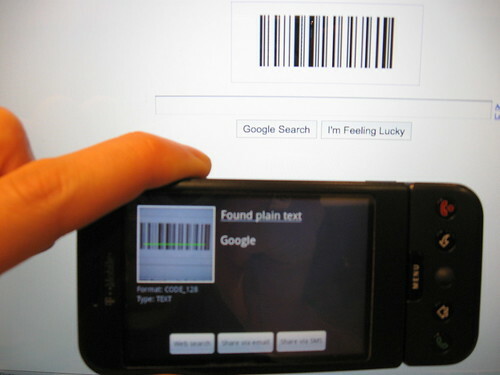 One of the age-old problems in the retail world is the accuracy of inventory information available to employees. The last thing you want to do is promise a customer that a product is available only to have to deliver the bad news that it’s not. Customer satisfaction plummets in this scenario, and it’s totally avoidable. POS systems excel at keeping real time inventory data, and a tablet system puts that data directly in the employees hands. Information given to customers will always be accurate—something both the employee and the customer will enjoy. One of the most striking differences in using a tablet-based PoS system is the flexibility in taking payments. Payments can be made anywhere in the store and not having to stand in line will delight your customers. This can also be used to great effect in a restaurant setting where servers can bring the PoS terminal directly to the table and complete the payment without all the going back and forth that’s required with a traditional system. (Not to mention the ease of submitting orders to the kitchen…) Less waiting makes the customer happy and keeps the business running efficiently. When you think about providing employees with tablet computers, perhaps all you can see is dollar signs. However, if you’ve looked into POS software and hardware systems, you know that it’s a costly endeavor no matter what. The fact is, a tablet-based system can actually save thousands of dollars, especially if you’re a smaller operation requiring fewer tablets. Whether you’re looking to revamp your POS system or implement one for the first time, be sure to consider a tablet-based system. The increased efficiency, ease of information sharing, simplicity of taking payments, and lower cost of implementation will win you over. Author Tony Alvarez writes for Merchant Maverick, where you can find comparison charts, as well as reviews for systems such as BigCommerce. When the first generation iPad was released, people saw it less as a mobile computer and more as an overgrown iPod Touch. Indeed, thought the iTunes store had an incredible number of apps for the iPad, they were never really able to exploit the full potential of the tablet. However, as more and more developers started making apps specifically for the iPad, people became increasingly aware of its true potential. Students are always looking to snap up the latest iPad and the launch of the iPad4 was met with similar enthusiasm and great expectations. Engineering students in particular have a lot to benefit from using the iPad4. Here are 4 essential iPad apps that every engineering student should have. A graphing calculator is often one of the most expensive, yet absolutely essential, devices that engineering students have to invest in. After you have paid a small fortune for an iPad4, wouldn’t it be nice if the device had an integrated graphing calculator? While Apple does not provide a graphing calculator app, it is possible to download one from the iTunes store. The Free Graphing Calculator app allows you to calculate complex equations on your iPad4 and even lets you colour-code the different equations. The best thing about the app, as its name suggests, is that it is free. Engineering lectures are often a fast paced affair as professors try to get through a massive syllabus before the end of the semester. No matter how quickly you take notes, there is always a chance that you could end up missing out on noting down something important. It is in situations like these that Genius Scan comes to the rescue. Simple take a picture of the lecture notes on the board and the app save it as a PDF file for later access. Unlike other apps, you do not have to stand directly in front of the board; take a picture from any angle and Genius Scan will adjust the perspective. For many students, typing up notes is just fine. However, engineering students cannot be afforded the same luxury. There is no way for you to type up the complex diagrams that are a crucial part of the class notes. Penultimate allows students to use a stylus to take down handwritten notes and make illustrations, as required. The app also allows you to sort your notes into different notebooks so that you can eliminate the headache of scrolling through numerous notes to find the one you need. It is quite remarkable how much valuable time can be wasted while making conversions. It is especially frustrating for engineering students who are trying to study for exams and find that they are spending more time doing conversions, than actually solving the problems. The Convert app allows you to choose and convert a number of measurements within a few taps. The iPad4 is guaranteed to be just as popular with engineering students as its predecessors. 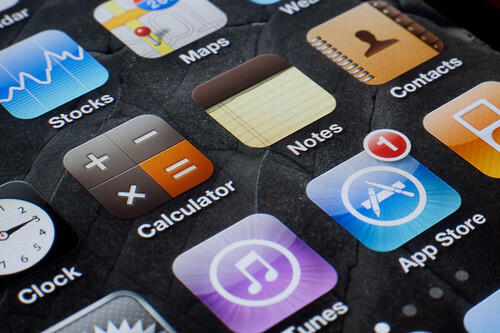 These 4 apps will ensure that engineering students get the most out of their new investment. Betty White is a tech blogger and writes about the most recent technological advents. She initially worked with a surveyors company but is a freelancer now. Ever since the iPad was released they’ve grown in popularity and you can now see them everywhere you go. Slowly they are getting better and better as the years go on, but are they at the stage yet where they can deal with everything a laptop can? You might be getting some requests as Christmas approaches because your child will tell you they want it for studying. It seems like a good reason for wanting a new computer and I’m sure you don’t want to let your child down. On the other hand, I’m sure you don’t want to arm them with something that’s not up to the job. What if they can’t keep up with all the other kids who have laptops? Laptops have been around for a while and we know how good they are. Let’s see the 6 main reasons why you should hold off on getting them an iPad at the moment if they plan on using it for their studies. Money doesn’t grow on trees, or so the saying goes. Even if you went for the cheapest option you would still be paying much more than it would cost for a solid laptop. When you think about speed and storage space you are getting much more for your money with a laptop, plus they will last a long time. Apple comes out with new versions of the iPad every year and you can already guess what they’ll want when next year comes around. When your kid is sitting in a lecture you can’t expect them to type everything if they’re doing it on an iPad screen. That’s impossible for anyone. Even if they use a keyboard attachment it’s not a better quality than a laptop keyboard. Then you come to actually writing essays. When you’re writing huge essays with a tablet it’s not ideal. Eventually they’ll be desperate for a proper keyboard. Could choosing something stylish come back to haunt them? Everyone is walking around with laptops and unless you have the newest MacBook Air you’re not going to catch the attention of thieves unless you do something stupid. That all changes when an iPad is involved. They are much more attractive to thieves and your kid might not have it for very long if they’re not careful. Sometimes it takes the pressure off students when they don’t have to look over their shoulder all the time. How is anyone supposed to concentrate on their studies when they have access to over 275,000 apps? Even the most dedicated student in the world would have a hard time sticking to a rigid study plan. You should have a good idea of what they are like now. Are they always on their phone? Just wait until they have access to great Twitter and Facebook apps then see how much attention they pay in class. The iPad is like an unhealthier version of a Smartphone. Eventually they will spend too much time on it and will stop speaking to people. You’d be surprised by the amount of people who sit staring into their iPad as if they are under a spell. If they don’t have this distraction they will be free to walk without their head facing downwards. It’s not like they’ll walk along trying to play with a laptop. After they’ve had their fun with an iPad they will decide they need both. They can keep their iPad for playing around with, but all the work should be done on a laptop because it’s much easier. That means you’ve spent all that money on a toy. A very nice toy, but still something that’s ultimately going to get used for Twitter and Facebook. It would save you time and money if you just got them a laptop to begin with. Tell them to get a job and pay for an iPad with their own money. The iPad is the best gadget on the market for a reason. You can do anything with it: watch movies, write stories, draw pictures, but nothing comes close to the app store. You can get apps that will literally help you with anything. Women can get help with becoming pregnant. Men can check the football scores. But you can also use apps to help you around the house. There’s so much cool things you can download for your iPad that you don’t know where to start, so here’s a few you’ll probably like and will keep your home more organized. Kids don’t really enjoy helping out with the housework. It’s not their fault because it’s not exactly exciting, but iRewardChart is a great app for trying to make it fun for them. It’s something like the star charts they get in school. You get to set the rewards and as they help you around the house they eventually move closer to the goal. Once they receive it you just start again. It could be a good idea to make them work for their pocket money. No longer will you get home from the store and realize you’ve forgotten the eggs. With Grocery IQ you can write down everything you need during the week. Whenever you notice something is missing from the cupboard you just add it to the list, then when you eventually get to the supermarket you will always get everything you need. You could obviously do this on paper, but it doesn’t take a genius to work out you’ll probably lose it. When the bills come in we usually just pile them up on the table and eventually you have something so big you don’t want to go through them. Once you receive any mail you can find the due date and add it to the app. When the deadline for the bill is approaching your app will let you know about it. There’s a few other good features as well. The monthly spending one if great because it lets you know where you are in regards to your budget. You know you don’t always have a pen and paper lying around the house. When you want to write something down it’s usually a case of going around looking for them. With Penultimate you don’t have to worry about this. If you need work carried out you can just write it down so you don’t forget. You won’t forget calling your mom on Sunday morning ever again. When you were growing up you’d probably see your mom with dozens of cook books lying around the kitchen. Epicurious have went around and packaged together over 30,000 recipes from all over the world, so you just need to turn on your iPad and you have access to the biggest collection of meal ideas you have ever seen. If those were all in physical books they would fill a dozen kitchens from floor to ceiling on their own. The article is contributed by Paul Simpson, who has a keen interest in technology and writes for various tech blogs. He is part of the team at Gryphon Garage Doors which provides the best garage doors prices in Australia. The web is abuzz with the news of an iPad Mini. Will Apple do this? Are they already doing this? When can we expect it to be launched? The hype is getting bigger everyday as the reveal of a new iPhone gets closer. If the iPad Mini pushes through, what can Apple fans expect? It’s called Mini for a reason. It will probably be about 80% smaller than the regular iPad. It will still be bigger than the iPhone but it will be more convenient to bring with you wherever you go. iPhone fans have been clamoring for a bigger screen. The iPad Mini might just be the answer to that. The screen will be significantly smaller than a regular iPad but bigger than the iPhone. According to Bloomberg, Apple has chosen LG Display and AU Optronics as creators of the screen for the new iPad. The new screen is reported to be a 7.85” display but other rumors say that it will even be smaller. There are already thousands of apps available in the market today and there is a very high probability that they will work flawlessly on the iPad Mini so you won’t have any problems using your favorite apps on the iPad Mini. 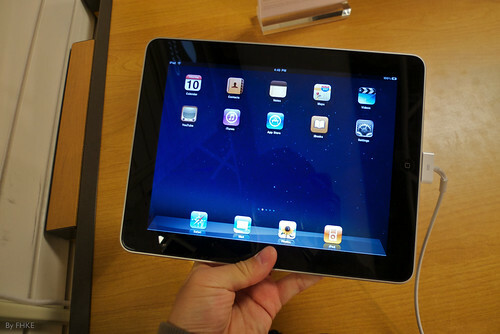 There is talk that the iPad Mini will be similar to the iPad 2 on the inside. The technology will be similar. It will use an A5 Chip along with a screen with the same resolution as that of the iPad 2. The technology will be formatted to a smaller version of the iPad translating to cheaper prices. But these are only speculations. This mini version will have less battery life though as it is smaller. The price! How much will the iPad Mini cost? Well, judging from Apple’s honed expertise and success with the iPad 2, we can pretty much deduce that there will be lesser bugs in the iPad Mini. It will feature improved technology at a more affordable price. The magic number is around $249. Will the iPad Mini be better than the original iPad? Is the iPad Mini a good idea or is it just another trick for consumers to spend their hard-earned cash for a device that is in reality, already in the market, but is hyped to be the next best thing just because it has a new name and a new size? What are your thoughts about the iPad Mini? No other tablet has intimidated the Apple iPad as much as Amazon’s Kindle Fire. With millions of sales since its launch in the market, the Kindle Fire has taken out a large chunk out of Apple’s share in the tablet market thanks to a portable size and great pricing. It however could not appeal to buyers who want a big tablet with the small 7 inch Kindle Fire screen where tablets like Apple iPad and Samsung Galaxy tabs made the impact. With the news or probably rumors that Amazon Kindle Fire is going to be launched in a bigger 10.1 inch avatar, people have already started to speculate if the new Kindle Fire will take the rest of the share too. Let us check some features the Kindle Fire 10.1 may have. Tech pundits were always speculating of a Kindle Fire with a bigger screen to compete against the likes of 9.7 inch Apple iPad and Samsung Galaxy tab. Talks were about a 10.1 inch and a 8.9 inch Kindle Fire, it however turns out that Amazon is not interested in the 8.9 inch version and instead wants to go for the bigger 10.1 inch Kindle Fire. With a bigger screen, a battery with higher capacity will be definitely great. Also the seven hour battery backup with the Kindle Fire 7.0 was not something people appreciated where other tablets like Samsung Galaxy tab and Apple iPad with bigger screens could manage 10. It is hence expected that the Kindle Fire 10.1 comes with a better battery. Kindle Fire came with only 8GB of memory and no option to add extra memory except for the cloud storage. With the 10.1 inch tablet, Amazon may consider providing more memory and may come in 16 GB and higher variants. 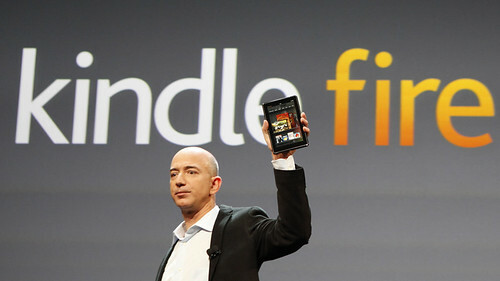 The Kindle Fire 10.1 is expected to come with the best in the market- Nvidia Tegra 3 quad core processor. This will make sure that the Kindle Fire does not lack behind other tablets available in the market and especially since the bar has been raised by the new iPad. The Android V4.0 Ice Cream Sandwich will be the preferred operating system if the 10 inch version is to be made. ICS has received some of the greatest review and is the first choice for all Smart Phone and tablet manufacturing companies nowadays. The Kindle Fire (7.0) did a great business for its features, usability and most important- The price. 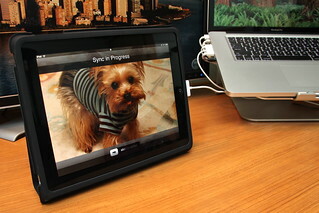 At $199, it was a great tablet for those who don’t want to invest a large amount of money on a costly iPad. 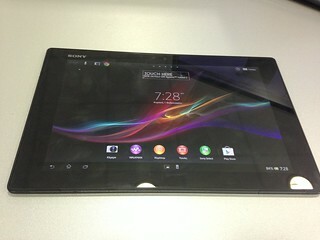 A price tag of around $299 can give serious competition to other tablets in the market. The author has experience in the technology niche and currently blogs for Bloghug.com list about the latest technology.